Business daily Kauppalehti reports that a record number of used cars will be imported to Finland this year. AUT, an automotive research group, estimates that 37,000 vehicles will be shipped to Finland this year, about 8,000 more than in 2017. 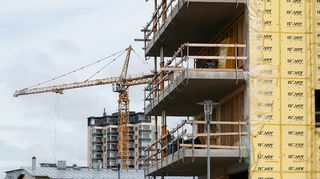 The significant growth has been driven by the beneficial exchange rate between the euro and Swedish krona, AUT says. “About a half of the used cars imported this year come from Sweden,” says Hanna Kalenoja from AUT. 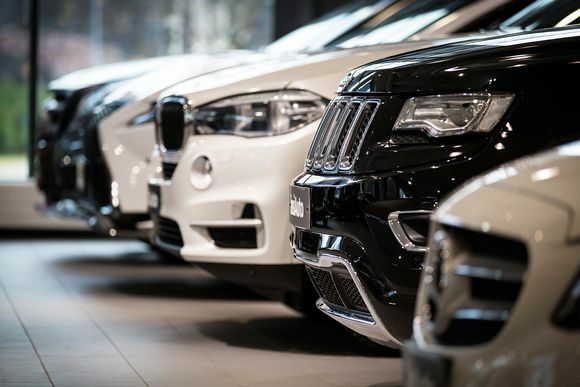 Swedes have been buying new cars in large numbers, with 380,000 new automobiles registered in the country last year, over three times more than Finland’s 119,000, Kauppalehti reports. Finns also have a similar taste in cars as their western neighbours, with brands such as Volvo, Volkswagen, Mercedes-Benz and BMW popular in both countries. According to the paper, on average a used car brought to Finland is nine years old and has a taxable value of 20,000 euros. Most run on diesel. The Finnish state levies a car tax on vehicles imported from abroad, but any value added taxes are paid in the country where the car is first registered. As a result, Finland loses around 100 million euros in taxes through imports of used cars each year, Kalenoja says. Tabloid Iltalehti tells readers that ex-Tango king Jari Sillanpää will appear in court on Wednesday to face drug smuggling charges. Police apprehended the 52-year-old entertainer at Helsinki airport in March as he was returning from Thailand after they found him in possession of half a gram of methamphetamine. During a traffic stop in September last year the same illicit drug was found in Sillanpää’s system and on his person, leading to a DUI conviction and a fine of 24,000 euros. In all, 12 defendants are involved in the case: one man is suspected of supplying the drugs while the rest are facing possession and use charges. According to Iltalehti, Sillanpää’s partner Siim Bahmatsov is one of the accused. The best-selling singer has admitted to buying more than 100 grams of methamphetamine over several years. The prosecutor may demand a suspended jail sentence for Sillanpää, the paper reports. The concept of päntsdrunk – drinking alcohol alone in your underwear – has now been introduced to Americans, with the US media outlet NBC covering the Finnish phenomenon, reports tabloid Ilta-Sanomat. In contrast to Americans, to whom drinking alone can sound lonely, Finns typically do not see it that way, in part because they are quite comfortable with solitude, Ilta-Sanomat quotes NBC as saying. While drinking alone is considered unhealthy and a possible sign of an alcohol problem in the US, NBC explains that relaxation, celebration and me-time are key to päntsdrunk. "It is not about escapism, coping or avoiding people," NBC says. According to Ilta-Sanomat, NBC has interviewed Briana Volk, a Maine resident with Finnish roots, who says Finns are fairly introverted and private. “We generally don't say hello to one another on the street or on the bus and we're used to enduring long, tough winters — sometimes in total darkness. For these reasons, enjoying a drink or two by yourself is a natural thing," she says. Volk, a cocktail bar owner, also provides Finnish-inspired recipes to try at a päntsdrunk event.